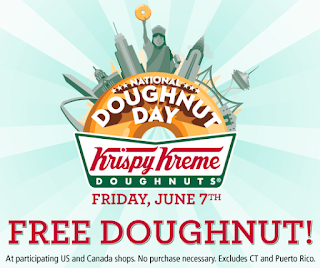 National Doughnut Day is Friday, June 7th - Why not celebrate with a free one? 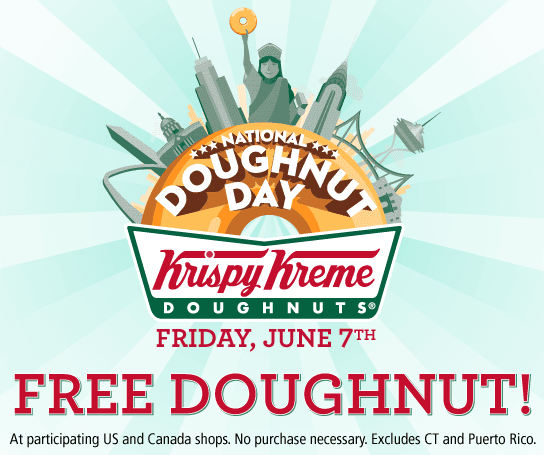 Enjoy a free doughnut of any variety at Krispy Kreme on June 7! No purchase necessary. Only at participating US and Canadian locations. Dunkin Donuts is also offering guests a free donut of their choice (while supplies last) with the purchase of any beverage. Available at participating U.S. Dunkin’ Donuts restaurants. Check your local bakeries and doughnut shops to see if they're participating!